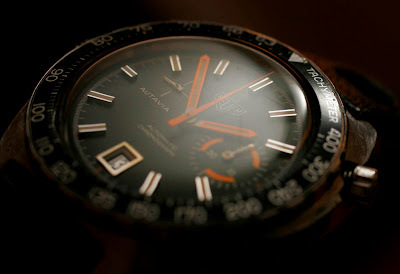 Here's my Autavia Ref. 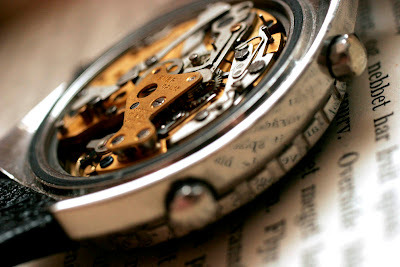 1563 with caliber 15. 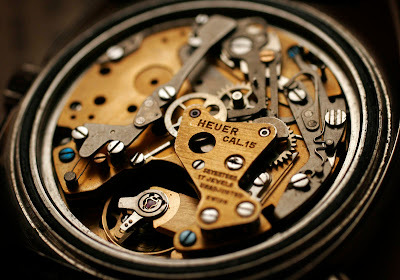 The caliber 15 version was a economic version of the Caliber 12. The hour register was replaced with a small running seconds hand at 10. To the right is the same 30min register as found in caliber 11/12. 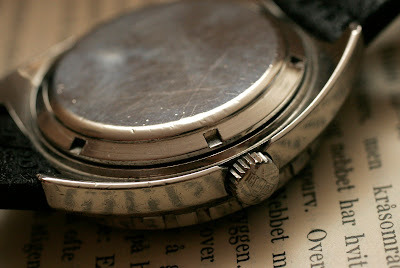 The case is the same as Autavia 1163, and is stamped 1163, not 1563 between the lugs at 12. 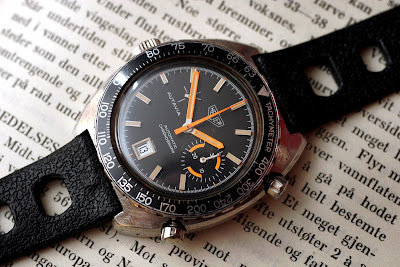 This is normal, I have never seen a Autavia stamped 1563. 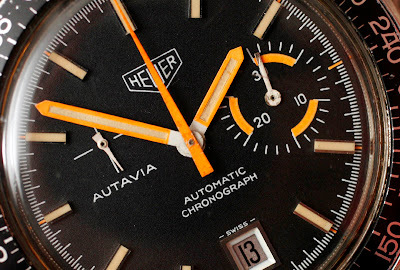 The Autavia 1562 was listed in catalogues in the early 1970's. There was two versions, black and white. 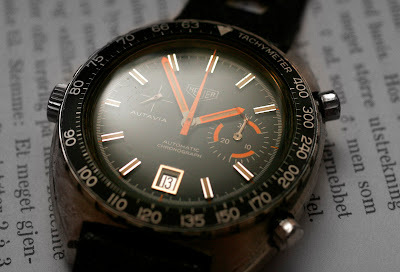 And two different bezels, tachymeter or hour/minutes. The crystal is plastic and can easily be polished to remove scratches. The pushers is fully visible from front, and partially obstructed from back. This indicates that the case is a 1163 and was made by Schimtz. 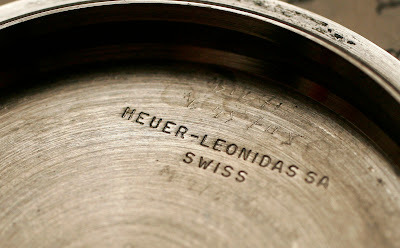 The caseback is signed Heuer - Leonidas SA inside.